Microsoft’s Windows 10 is still in testing, but hardware makers can’t wait for the day the OS replaces the controversial Windows 8. Millions of PCs are aging, and those who have resisted Windows 8 will likely upgrade to computers with Windows 10. The initial reception to a test version of Windows 10 has been positive, as it resolves many usability issues affecting Windows 8. There are about 600 million PCs that are four years or older, and those systems are ripe for upgrades, said Renee James, president at Intel, at the Credit Suisse Technology Conference on Tuesday. “When we see a healthy macroeconomic environment and an aging installed base we expect a new [OS] deployment. The [PCs] are fantastic and at new price points. That’s kind of a perfect storm, combined with a new OS, and the OS usually pushes the upgrade cycle,” James said. James is “very enthusiastic and optimistic” about what Microsoft is doing with Windows 10. “They’re being extraordinarily responsive to customers,” James said. All major PC makers are expected to support Windows 10 when it is released early next year. Hardware makers are already customizing drivers and products for Windows 10. Advanced Micro Devices’ new PC chip, code-named Carrizo, will take advantage of new features in Windows 10. The chip maker is expected to detail those features early next year. Dell has found that Windows 10 provides a consistent user experience and solves usability issues plaguing Windows 8 users, said Neil Hand, vice president of tablets at Dell, in an earlier interview. The upcoming OS will let users run the same programs on mobile and desktop devices. That solves a Windows 8 problem, which prevented a large number of programs from working across devices. “The ability to create applications that are super-scalable from phone to tablet to PC is the big step in a lot of ways,” Hand said. One Windows 10 feature that has been well-received is the return of the Start button, which was abandoned in Windows 8. The feature will be welcomed in businesses, which have largely embraced PC-friendly Windows 7 and declined to upgrade to Windows 8. Windows 8 also caused confusion with separate tablet and desktop interfaces, one of the reasons business wanted to skip the OS. Hewlett-Packard is looking forward to Windows 10, and believes it could provide a major boost to PC shipments in enterprises. “We’re genuinely excited about it,” said John Groden, director of product development for Elitebook laptops at HP. For hardware makers, Windows 10 is a relief as it opens a pathway for upgrading hardware from Windows 7, said Bob O’Donnell, principal analyst at Technalysis Research. A lot about Windows 10 is still unknown, especially on the tablet side, O’Donnell said, adding that details relating to version breakdown, devices and pricing of Windows 10 remain unclear. Windows 8: not that bad? It’s too early to predict the impact of Windows 10 on PC shipments, but it won’t be as big as the kind of boost Windows 7 provided to PC shipments in 2009, said Jay Chou, senior research analyst at IDC. Windows 7 came to market after Windows Vista, which was considered a debacle. 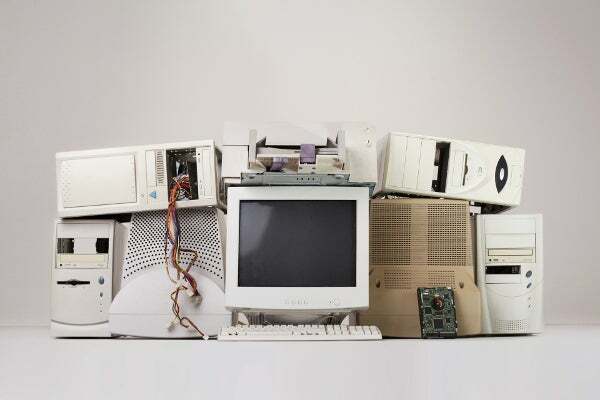 At that time, PCs were dominant, but the market has now changed, with mobile devices being used as PC alternatives. “Vista did not have to compete with smartphones and tablets,” Chou said. PC upgrades may first take place among consumers, as businesses test the OS and wait for initial kinks to be ironed out. Windows 10 “is more amenable to power users, which is important for commercial upgrades,” Chou said.